The complete solution for sports clubs and member associations is now available. Rugby Clubs, GAA Clubs, and various Membership Associations are mostly voluntarily run by passionate people giving their time and energies solely for the improvement and success of their Club. Dotser's aim is to support the club's efforts and streamline their administrative processes, membership management and cashflow. 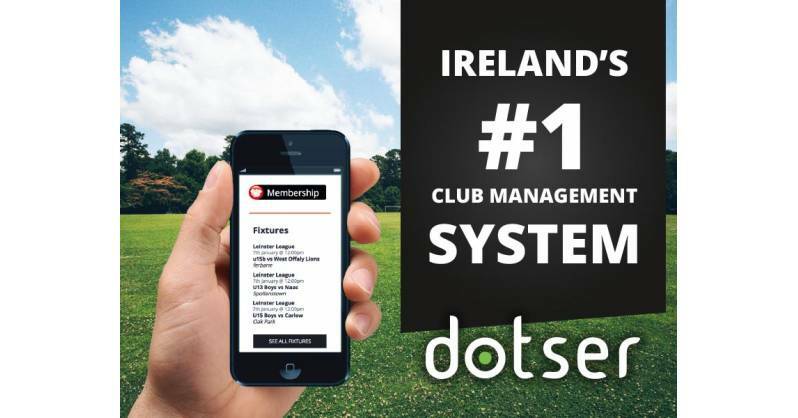 To date, Dotser has worked with a number of Sports clubs and other membership associations, to develop their club's online presence, with improved website layout, membership application processes, membership management behind the scenes, all helping to boost the public’s speed to commit to annual membership, thus reducing the voluntary administration staff’s work load and getting cash in the bank. A big issue for Club's is tracking membership and payments. It is a constant and thankless task for those responsible for managing Membership to liaise with the different teams and find out who has paid. With the simple to use online Membership system, the Club committee can see the live membership position and can focus on playing members who have yet to pay. The impact of the transparent Membership system has directly resulted in the earlier collection of Membership. 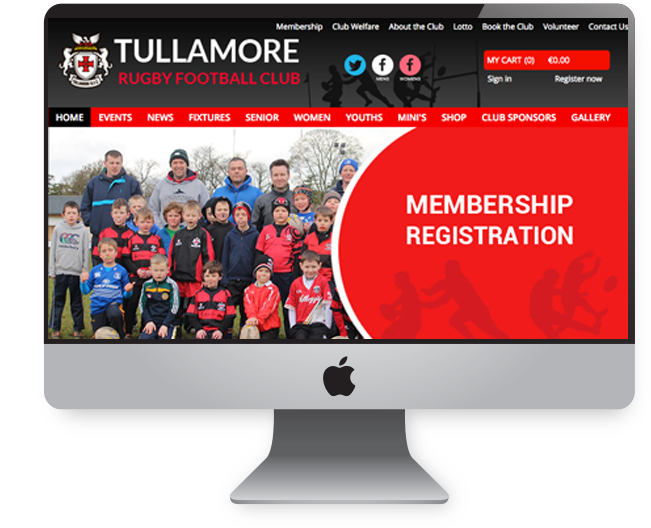 Tullamore Rugby Club are now taking membership subscriptions online, with over 700 members, Dotser are proud to say that we have enabled this process to be streamlined with online payment gateways, a customised membership enrollment form, and data protection in place to secure the club’s valuable member data. 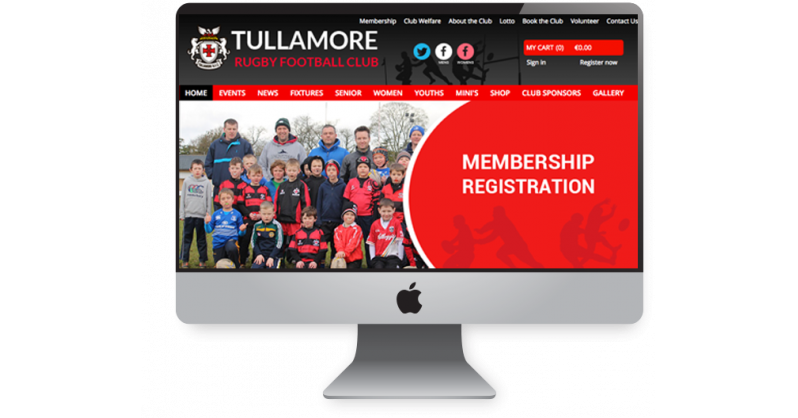 Tullamore Rugby Club can now focus more on winning games, and keeping their fans up-to-date. The standard Club CMS can easily support fixtures, news, results from matches played, as well as image galleries, and limitless pages to share plenty of your clubs information. If that’s not enough, Dotser leads the way with SEO. Our CMS is built to integrate with Google’s search engine rankings, and give you the best return for your investment for your club by getting you to the top of the rankings. 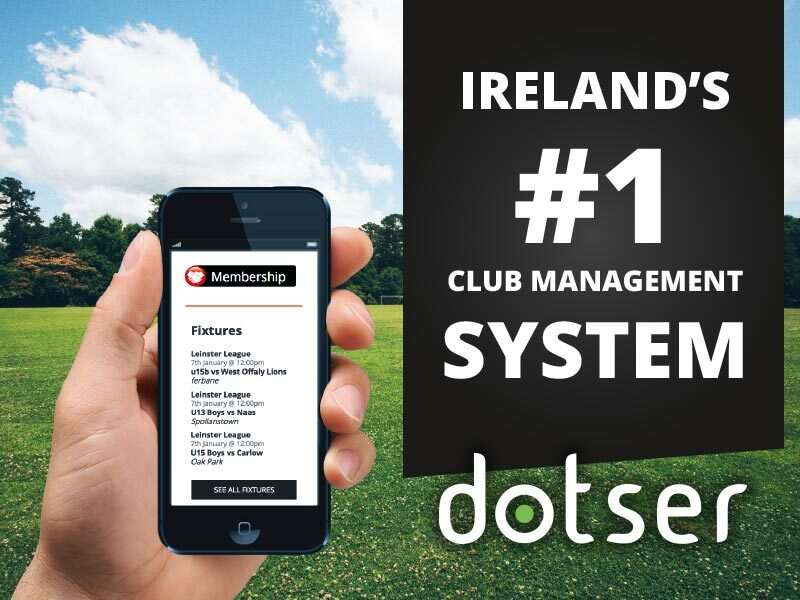 Bring your club online now with support from Dotser. Contact us here, by email to loughnan@dotser.ie or call directly on 057 9323262.